The issue of abortion has been a little too quiet in the media as of late, so it should really come as no surprise that it’s once again making headlines over the approval of RU486 for wider use (more affectionately known as the ‘abortion pill’). While the drug has been available in Australia since 2006 (after a ministerial veto removed Health Minister at the time, Tony Abbott, of his right to regulate this particular policy), its availability has been limited due to the fact that only a small portion of practitioners were certified to import and prescribe the pill. Mifepristone, taken orally, separates the endometrium (the mucus membrane lining of the uterus) from the placenta, increases contractions and softens the cervix so that the uterine contents are able to pass. Usually required within 48 hours of mifepristone, these tablets are most commonly taken orally or inserted vaginally. The purpose of misoprostol is to expel the contents of the uterus by causing contractions. During this stage, patients are often observed by their doctor over a few hours. However, the pregnancy may end once the patient has gone home. The actual termination happens much like a miscarriage, and the patient is required to have follow-up appointments within 14-21 days after use to ensure that the termination has been successful. If it has failed, a surgical abortion is then done to remove all remaining contents of the uterus and complete the process. The pills must be taken within 49 days of gestation. By registering this drug for wider use, the Therapeutic Goods Administration (TGA) have simplified the process for doctors to gain certification. While GP’s will still have to undergo training (coordinated by family planning group Marie Stopes International), they will no longer have to rely on the TGA to grant individual permission to import the drug from overseas, meaning the drug will become increasingly available to Australian women. Whether you agree with abortion or are avidly against it, the main issue that arises from such controversy is this: why is abortion a government issue? Isn’t it solely concerned with a female’s body and her readiness to become a mother or start a family? How naïve. I hear some of you groan. These laws are in place for a reason. Abortion shouldn’t be thrown around for the irresponsibly sexually active. And how can you draw the line between abortion as a contraceptive, or simply as a back-up plan? All legitimate questions and concerns. I’m not advocating for abortion to be used as a regular form of contraception: that’s not safe, practical or healthy. Nor am I saying it should be entered into lightly, without proper consultation with your doctor, partner or someone you trust and feel comfortable with. However, abortion is a fundamental service that provides a reliable and medically safe procedure for those who wish to terminate pregnancy. It all comes down to harm minimisation. Let’s be realistic: If a girl is desperate enough to get rid of a foetus, government law isn’t going to stop her. She’s going to find a way, whether surgical or medical options are available or not. It’s this desperation that ends in the do-it-yourself horror stories of coat-hangers, overdosing on vinegar, or even death. I understand the arguments that anti-abortion groups throw our way: be responsible. Don’t get pregnant. That’s great advice. But the ones who want to terminate aren’t exactly in a position to retract their actions. In fact, more than 1/3 of pregnancies worldwide are unplanned. According to Women on Waves, a pro-choice organisation aiming to ‘prevent unsafe abortion and empower women’, more than 1/4 of women choose to have an abortion each year, with approximately 20 of 42 million abortions annually performed in unsafe circumstances. Isn’t this what we want to avoid? Isn’t it the government’s responsibility to protect their women? To provide them with a safe environment to both give birth or terminate? The increase in availability of RU486 is a positive step forward in female physical security. Throwing individual opinions aside, it gives women a more accessible option to safely terminate. And while this is a significant move by the TGA, it is also important to remember this: abortion is not an easy way out. It is a psychologically and physically exhausting process, and should be treated as such. Be safe first, and exercise the right of choice second. For me, abortion is still a crime. Whatever the reason is abortion is, it is still morally wrong. And if abortion is to be legalized, more women will do it again and again which is not beneficial to human body. So where is the safety here? I am pro-abortion. We have the right to choose. If the pregnancy is unplanned and the woman is not ready yet to face this big responsibility, she has the freedom to go into abortion. What I want to say is, if she cannot support fully her child and cannot give him/her a bright future, it’s better to end the pregnancy than let the child suffer in the end. It’s just my opinion. No matter how safe abortion can be, I’m still against it. Abortion should not be an ptoin for those women who are not yet ready to get pregnant or to be mothers. IN the first place, they should’ve thought it from the beginning. Conceiving a baby is a gift, it’s a blessing, so why not just embrace it? 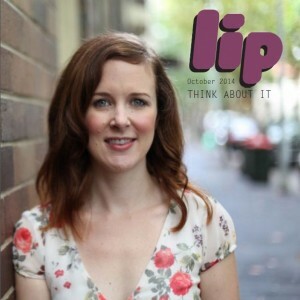 This entry was posted in Featured, Opinion and tagged abortion, australia, pregnancy. Bookmark the permalink.